PCDU Episode 47: Bull Me! The 2010 RedBull AirRace season was exciting, eventful and disappointing all at once. From Adilson Kindleman’s crash in Perth to Hannes Arch’s pylon hit and Matt Hall’s “walk on water” incident, G-Stalls were everywhere. Then came the news that the last two races were cancelled and, finally, that the whole 2011 season was cancelled. 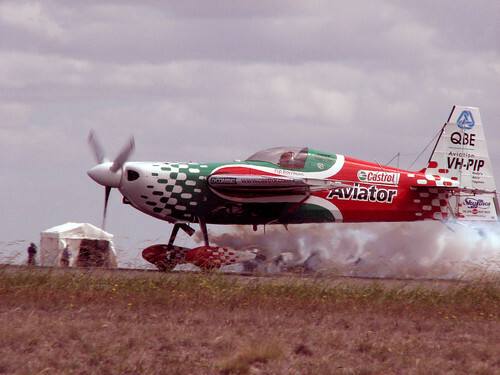 As if the end of the season wasn’t bad enough, we were all stunned by the news that Alejandro Maclean had died in an aerobatic training accident. We have already presented our “End of Season” chats with Hannes Arch and Matt Hall in previous episodes so in this one, we present our chats with Nigel Lamb and Pete McLeod. We also officially announce the winners of our Flight City Simulator Centre B777 sim session prize (Graham Neal) and two runners up (Greg Spencer & David Mitchell), both of whom win PCDU T-Shirts. We talk briefly about Qantas’ recent 90th Birthday event at Melbourne airport and play the quick chat we recorded with Juan Serrano, John Travolta’s chief pilot. It’s been a while since our last episode but at last we’re able to present our latest update with some more great content. First up, Matt Hall joins us once again to look back on his 2010 RedBull AirRace season, discuss the lessons he’s learned and give us his thoughts about 2011 & beyond. Next up we are proud to introduce our latest advertiser, Flight City Simulator Centre at Jandakot in Perth, with their Boeing 777 simulator. We chat with Richard Zandvliet, the CEO at Flight City, about their various simulators, the courses they can offer for the professional pilot and the packages they have for the general public. Richard also makes a generous offer of a one-hour flight package in the 777 simulator that we can give away on the show (see below). While Grant’s been able to go flying in some full sized aircraft (check out the photos on our Facebook page), Steve’s been catching up with some slightly smaller aircraft. 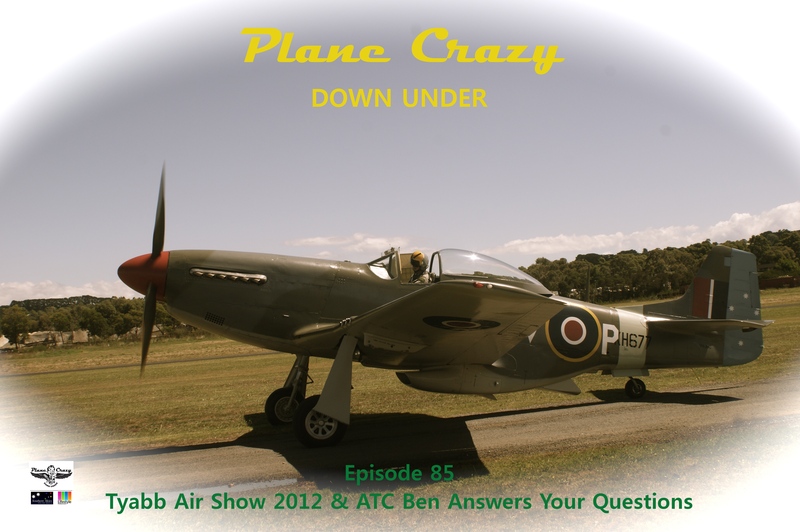 He’s been out to the Victorian Scale Aircraft Association’s state championships and interviewed John Lamont, Noel Whitehead & David Law from the Packenham & District Aircraft Radio Control Society. David Vanderhoof has started his own podcast called the Hitchhiker’s Guide to Military Aviation – well worth checking out! NOTE: We had some additional content from our Matt Hall interview that was no longer current so we’ve moved it from the episode to our Extras collection. You can find it at our “Extras” page. Just listen to this episode to hear a jingle from the past. 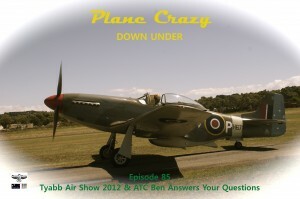 If you know who owned that jingle, send us an email at planecrazydownunder@gmail.com telling us who you think it was. We’ll draw the winner live on uStream in the near future. This episode we have a good chat with Matt Hall about exactly what happened during his splash in Windsor (including what was going through his mind at the time), the physics of a G-Stall, where the Red Bull Air Race folks dredged up the “two prior incidents” they mentioned, how the other pilots reacted to the news and what Matt’s learned from all of this. Great listening and very educational, especially on the subject of how even a top-notch pilot like Matt can help make the holes in the swiss cheese align. The Red Bull Air Race came back to Perth this year and Steve was there, flexing his newly minted press credentials and discovering the amazing world of the Red Bull media centre. Sadly, Grant was working in Indonesia and so couldn’t be there to help hang out, rub shoulders with the stars and quaff a few cans of Red Bull. Fortunately Steve was well & truly up to the task and managed to capture a few interviews while he was there. First up in this episode we have Steve’s summary of the race, including his interview with Hannes Arch, the press conference at the end of the race and a collection of content from the Red Bull Media Pool. The final pair of interviews are with Lenny Raulson, Matt Hall’s mechanic at the time of the Perth race. He finished up with Matt’s team just after the race and they’ve now transitioned to an Australian mechanic, Jack Moshovis. After Steve’s chat with Lenny, we have a chat with David Lyall, Matt’s team coordinator. He tells us what it’s like to work with Matt, why they changed from Lenny to Jack and much more. We hope you enjoy the episode. Feel free to leave us feedback via email, comments on the site or on our forum on Downwind.com.au. We attended the Flight Experience Melbourne Facebook fan open night and recorded some interviews with the instructors & guests who were there at the 737 simulator. Congratulations to Jack Seymour in Wangaratta for doing his trial introductory flight in a Eurofox. You can read about his adventures in flight at his blog: StudentFlight. We have a discussion on our forum about where to find the best coffee at airports. As part of the recent Show us ya Wheels event in Numurkah the PCDU team attended a memorial tribute dinner for Pip Borman, a famous Australian aerobatics pilot from Shepparton who died in a crash during a photo shoot flight. The presentations at the dinner included speeches from David Fertel at Castrol and Julian Frazier from QBE Insurance along with a keynote presentation from Matt Hall, Australia’s only Red Bull Air Race pilot. There is a video clip of Pip Borman flying the Pitts Samson on YouTube that is well worth watching. The Samson is a radial powered aerobatic biplane (truely a “muscle plane”) and the video gives you an idea of what it is capable of. It was shot at Shepparton airport (YSHT) only a week before Pip crashed in it. We were fortunate to be allowed to record the speaches and have been given permission to include them in the episode. It was a great night and we’re glad that we are able to bring you along for part of it.